Every year on Martin Luther King Day, various comic fans trot out some of the comic biographies about him. I've either talked about or included scans of them myself. And even though we're still a few weeks away from Black History Month (when it would be more "appropriate" to bring this up) I'm wondering why we don't have more comic book biographies of great Black leaders. I started a list of them last year, and even off the top of my head, there's a lot of holes. 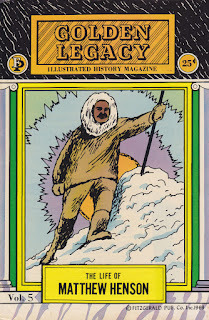 As far as I'm aware, no one's ever tired a comic book biography of Huey Newton, James Baldwin, Frederick McKinley Jones, Octavia Butler, Mae Jemison, the Tuskegee Airmen, Pam Grier, George Washington Carver, Serena and/or Venus Williams, or any of a million other notable Black people of importance. Most of the biographies we do have are either from Golden Legacy or Bluewater, neither of which are especially well done. 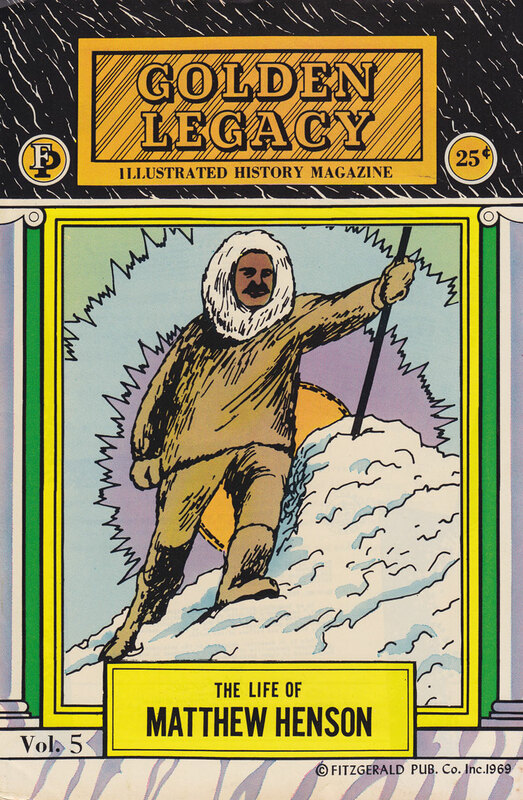 Don't get me wrong; I'm thrilled that someone did a biography of Matthew Henson in comic book form, but it's not exactly a great piece of work. I get that biographies of all sorts can be a harder sell. Most people don't live a life that's absolutely so amazing all the time that it can be a complete page-turner from start to finish. I'm sure people would get bored with Indiana Jones if we spent any more than a few minutes among all of the movies with him teaching in the classroom. But at the same time, the biggest on-stage production success in years has been a biography of Alexander Hamilton. Indeed, it's already broken more than a couple sales records. Why can't a comic biography be done the same way? Well, they can, in fact. My Friend Dahmer by Derf earned more than a few critical accolades and sold very well, eventually being turned into a feature length movie that also did very well. John Lewis' March trilogy likewise earned both critical and financial success. It's not that people are opposed to biographies; it's just that they're opposed to dry, tedious ones that are little more than a regurgitation of facts. Read up on any of those biography-less individuals I mentioned above and see if they don't all have (or have had) interesting lives. You're going to tell me the first Black woman in space is boring?!? One of the founders of the Black Panthers?!? Fighter and bomber pilots from World War II?!? Hell, I think you'd have to work hard to make these people even start to sound boring! Again, I know that, historically, biographies are a hard sell and most people don't want to touch them because they're not guaranteed to make money. Most of the Kickstarters that I've backed and ultimately failed were biographies. But, despite the stigma, that's not because they don't sell. It still boils down to telling a good narrative; it's weak storytelling that doesn't sell, not biographies. So, come on, people! Get your work together and put out some good biographies in comic form! There's plenty of fantastic subjects that have never been touched, just waiting for the world to hear about them!